Doubt: A History (2004) is a journey through one of time’s best kept secrets: the people who have stood up to accepted truths, even when it cost them their lives. 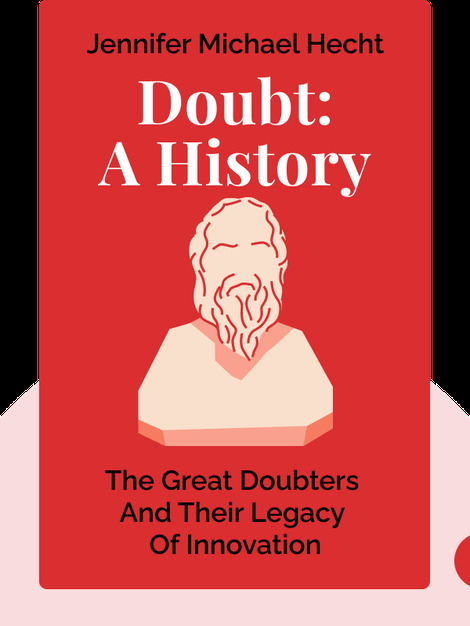 These blinks share the stories of doubters with conviction from Ancient Greece and India to the modern era, and how they have shaped the way we live and think today. 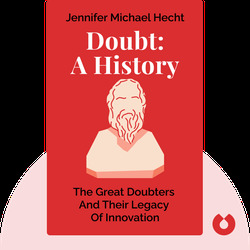 Jennifer Michael Hecht is an American teacher, writer and philosopher. Her other well-known books include The Happiness Myth: Why What We Think Is Right Is Wrong and Stay: A History of Suicide and the Philosophies Against It. In addition to non-fiction, she is a prolific writer and publisher of poetry.